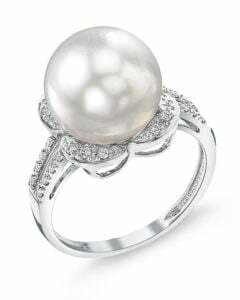 When thinking about pearls, most people think of them only as being white or cream. 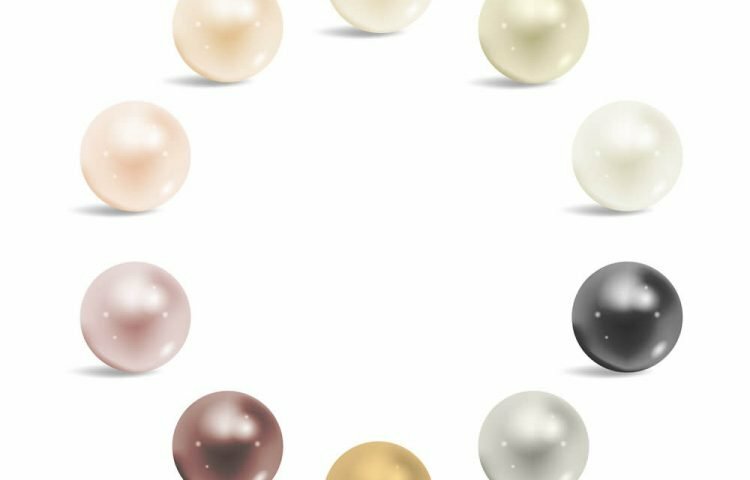 While those are very common colors for pearls, there are actually a wide range of pearl colors available on the market today. 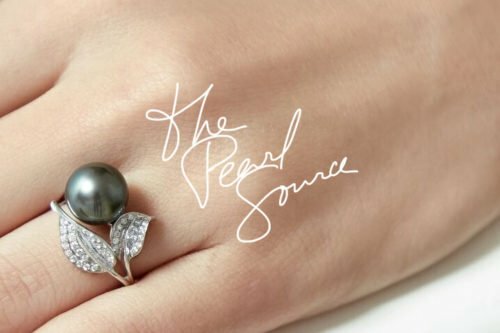 When you’re shopping for pearl jewelry, you’ll want to consider the environment where you’ll be wearing it and your personal style so that you can choose the pearl color that will go the best with your wardrobe. Akoya, South Sea, and Freshwater pearls can all be found in white. They often have overtones of rose, silver, or ivory. White pearls are classic, go with anything, and will be treasured for generations. The most popular pearls are white Akoya pearls. 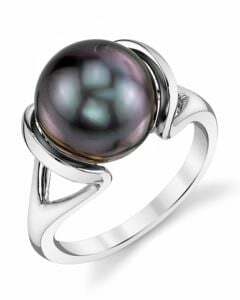 Black pearls are seen as exotic. Tahitian and Sea of Cortez pearls can be naturally black, and other varieties can be color treated. Black pearls often have a beautiful rainbow of overtones. 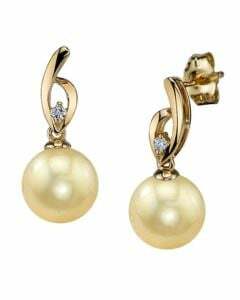 South Sea are naturally golden pearls. These pearls are large, ranging from 9 mm to 16 mm, and they are said to bring wealth and prosperity to their owners. 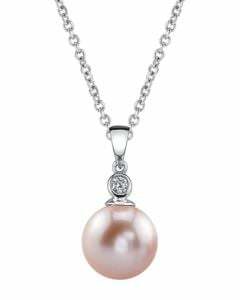 Freshwater pearls are cultivated in China to create beautiful pink pearls. They often have overtones of gold, green, and aquamarine. These pearls can be cultivated to reach up to 16 mm in size, although they more typically range from 6 to 9.5 mm. Natural blue pearls are very rare. Akoya, South Sea, Tahitian, and Sea of Cortez pearls can all be found in blue, with stunning overtones. However, it’s thought that this beautiful color is actually the result of a metabolic disorder within the mollusk, which is why these pearls are so rare. Tahitian pearls are occasionally naturally chocolate, and they and Freshwater pearls can both be dyed to a chocolate tone. The average size is 10 to 12 mm, so these pearls are fairly large. 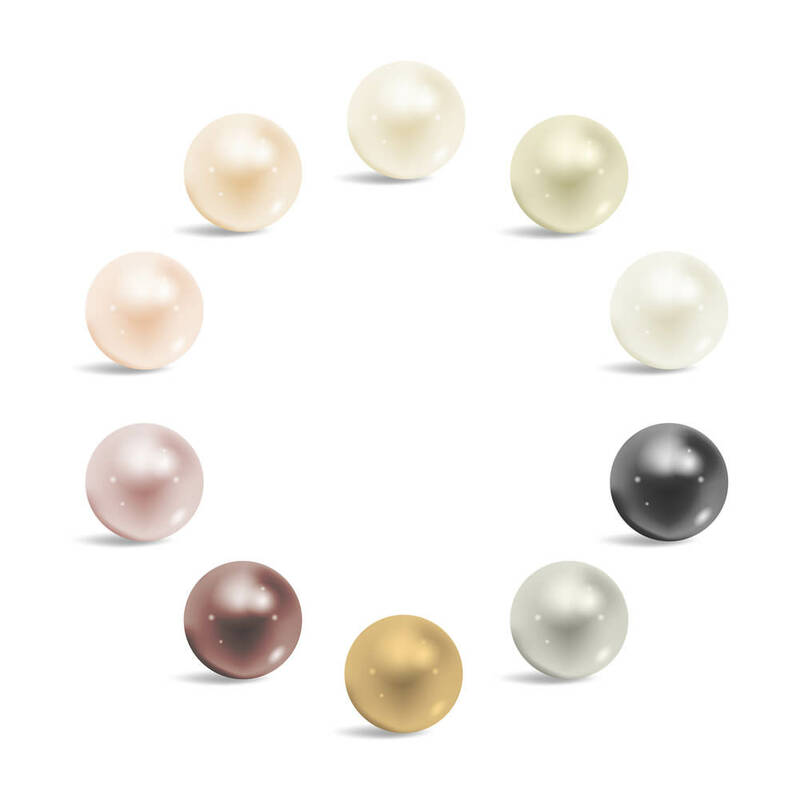 Pearls, especially freshwater pearls, can also be dyed in a wide range of colors to help you find pearl jewelry in any color that you desire. Make sure to keep your personal style in mind when you’re buying pearl jewelry because you’ll want to make sure the pearl colors complement your outfits. Whichever you choose, your pearl jewelry is sure to be a stunning addition to your jewelry collection.